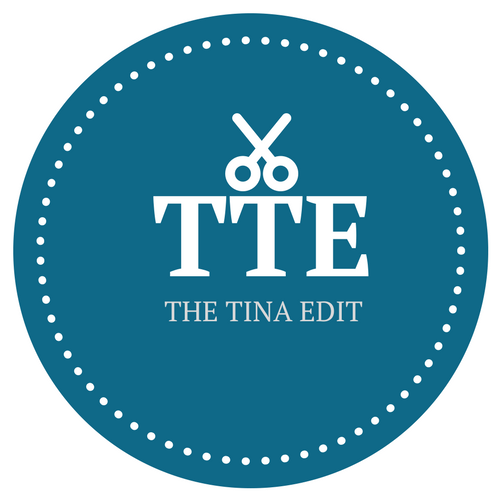 The Tina Edit: Getting back to blogging after a long sabbatical from it with a whole new blog identity ´The Tina Edit´(now 7 months old). I had fun creating the logo of this site, choosing the template and customising it to suit my personality, announcing it to the world and taking it to the next level. To see my baby blog project ´The Tina Edit´garner so much love and readership in such a short time is heartening and a special kind of high in itself. There´s still so much to work on and play around with as far as my blog is concerned. #Superbloggerchallenge2018 helps me learn something new each week. Debut of my ebook ´Soul Sojourn´: The book currently tops the ´Best Ebooks ever in 2017´on Goodreads. The accolades and adulation: Winning the Orange Flower Award by Women´s Web in the category of ´Writing on Work´ and receiving the award from Sudha Menon, one of India´s leading non-fiction writers. Featuring among the top 5 finalists in the category of ´Personal Blogging´,´Humour´, ´Poetry´ and ´Parenting´ . Also, to be listed among the ´Top 35 writers of 2017´ by Youth Ki Awaaz, India´s leading online platform for youth is a feather in my cap. Some of my articles have gone viral. Most notable was when my YKA article came to the notice of Hindi film actor Kunal Kapoor who shared my article on his Twitter handles with some kind words of praise. Another article of mine on Women´s Web on the mandatory saree dress code at the workplace was shared by a government organisation for women on their FB page. And one of my articles on women loitering in the night was shared by the group AintNoCinderella on their Instagram and Twitter handle. Meeting so many people who share the same interest and passion as mine – fellow bloggers/writers and readers. It keeps me inspired, motivated and grounded. Thank you from the bottom of my heart for all that you do! Take the challenge seriously: Because this is the real deal. The hosts and organisers of this challenge are sincere and serious about their part. Learn: Trust me, there is lots to learn from the experienced hosts. Every article, tip and video they share are golden words of wisdom and knowledge. The last video I saw by Uttpal Krishnan on the use of Twitter threw so much light on this dark topic for me. Superbloggerchallenge Academy has wonderful learning resources compiled by Dr.Amrita Basu , Uttpal Krishna and Dr. Bushra. I highly recommend you to go through them. Explore and get creative: I learn something new every week thanks to the resources from Dr.Amrita, Uttpal and Dr. Bushra. In my last post, I used slideshows for the first time in my blog post and it was so cool. Be creative in not just your content but also how you choose to present it to the readers. Reach out: Go to other participant´s blogs, follow them, read their posts, comment, share your link and invite them to come to your blog. After all, we are part of the same community and we are family. Always respond to your readers as well. Be kind and respectful: It is important to be kind and respectful towards other participants. You show it by reading their blogs, commenting and sharing them. Needless to add, you must respect and value the host or organisers´ time and efforts as well. It doesn´t hurt to show your gratitude to the hosts when they take the pains and efforts to educate and teach us something new. Also, if you have any queries or need help, remember they are simply a DM, Watsapp, Tweet away. Start early: Post your blog early in the challenge. Preferably on the first day itself or the first half week of the challenge. You can connect with other bloggers, get more readership and increase your chances of staying in the competition for long. Have fun: The most important tip is to enjoy the challenge. If you are not having fun learning, networking and blogging together as a community, then there is no point in taking part. If you can give it your 100% wholeheartedly with a cheerful attitude, only then would I highly recommend participating in it. I hope you enjoyed this read. Please do let me know your thoughts in the comments below. Next While Gilu Joseph´s breastfeeding photo is aesthetically shot, does it bring any practical solutions on the table? Let´s Discuss! My pleasure always, Vartika! Keep reading! Love and Cheers! I enjoyed reading this post. Very honest and nice. Hope you continue doing the good work. All the best. Thank you so much for the kind words, Saba! I will share the details of the book soon and let you know for sure. Keep reading. 🙂 #SuperBloggerChallenge 2018. Yayy..Happy to know that Kerala is one of your most favourite destinations. Being a Malayali, that’s something to be happy about 🙂 . And hey, great post.A total inspiration! I wish all bloggers would keep a separate accolades page… you have so many wonderful wins already. They need their own page to be showcased in. Wonderful to know more about you Tina. Your blogging journey so far has been really good. And your tips arr spot on! Lovely reading about your blogging journey.Thank you for hearing the soul song of Super Blogger Challenge . Your kind words are deeply appreciated. Great to know of your blogging journey. Thanks for sharing the tips. Awesome tips as well. Respect is so necessary. What a wonderful journey! Somewhat related to my dream journey with my blog..! Same here…trying to improve and working hard. Thanks a lot for your motivation. That’s a wonderful journey Tina. Even I started blogging around 2006. The best thing about writing is the creativity and happiness that we get. That is wonderful to know, Ramya 🙂 I totally agree…it gives a creative satisfaction like no other 🙂 I honestly feel everyone must write…if not blogging..but writing in general..a journal but write Thanks for the kind words and keep reading 🙂 #SuperBloggerChallenge2018 #InstaCuppa. Thanks for the info, I am a newbie on here. I will use your tips to help me further my blogs. Wow, many congratulations for all ur success. I love ur writing, it’s lucid and engaging. Wow! What a journey! I didn’t know you are blogging since 2006. We have been in touch since last one year or so but you have achieved a lot in this one year or so. All I want to say, keep blogging and keep getting to new heights. Congratulation on the Orange Flower award, Tina. It surely is a huge encouragement for a blogger and writer to be appreciated for their work.